The Netherlands' Senate (upper house of parliament) on May 30 will support the Association Agreement between Ukraine and the European Union, after which the government will be able to ratify this document. "My forecast is that the Senate will support it next week, after which the Dutch government will be able to ratify the Association Agreement, which should happen next week, on Tuesday," the Dutch Prime Minister Mark Rutte said on Thursday as quoted by Radio Liberty. 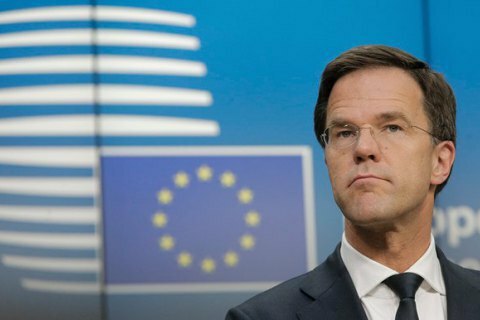 "We had a good debate on this last Tuesday, [23 May], so now we can vote and ratify it, which is very positive for the EU, for Ukraine, and for Russia, because it will help stabilize the situation in the region," said Rutte. In February, the Netherlands' lower house voted to re-ratify the Association Agreement between Ukraine and the EU. Before that, the Dutch government submitted the document for re-ratification in spite of the results of a previous consultative referendum. The Netherlands is the only EU country that has not ratified the Ukraine-EU deal after a referendum last April. As a compromise, the Netherlands was required to spell out in the agreement that it does not imply automatic guarantees of security, military assistance and financial support to Ukraine and does not give Ukrainians the right to live and work freely in the EU. None of these opportunities was guaranteed by the association agreement, but the Dutch government wanted the provisions to be clearly stated beyond the document in order to reassure voters. EU leaders agreed with that, and at the same time demanded that Ukraine actively combat raging corruption. Currently the Association Agreement is working in a temporary mode.